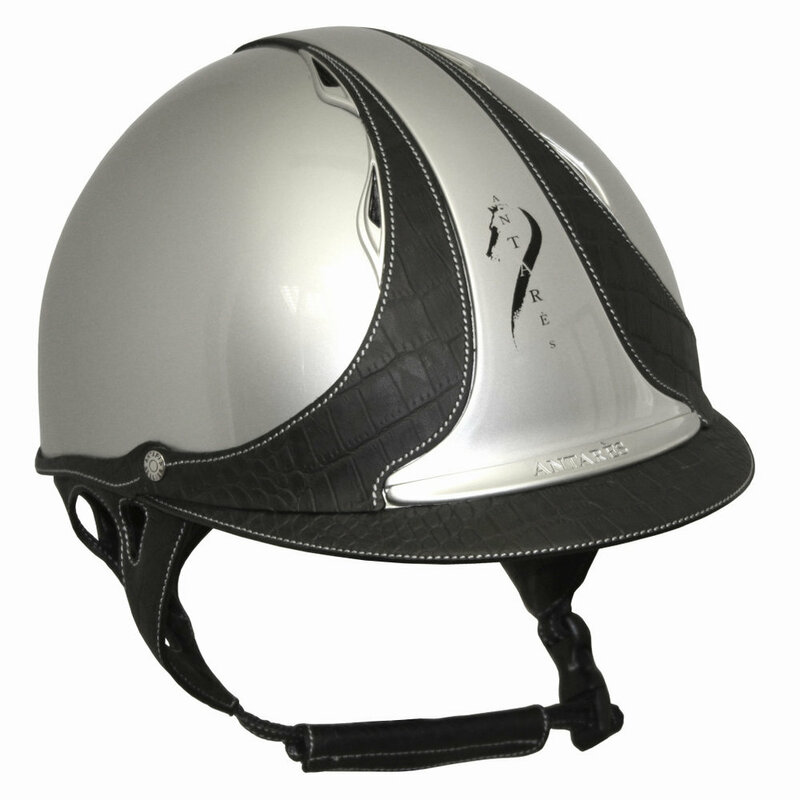 Our helmets ensure optimal safety. Very light, comfortable and beautiful. 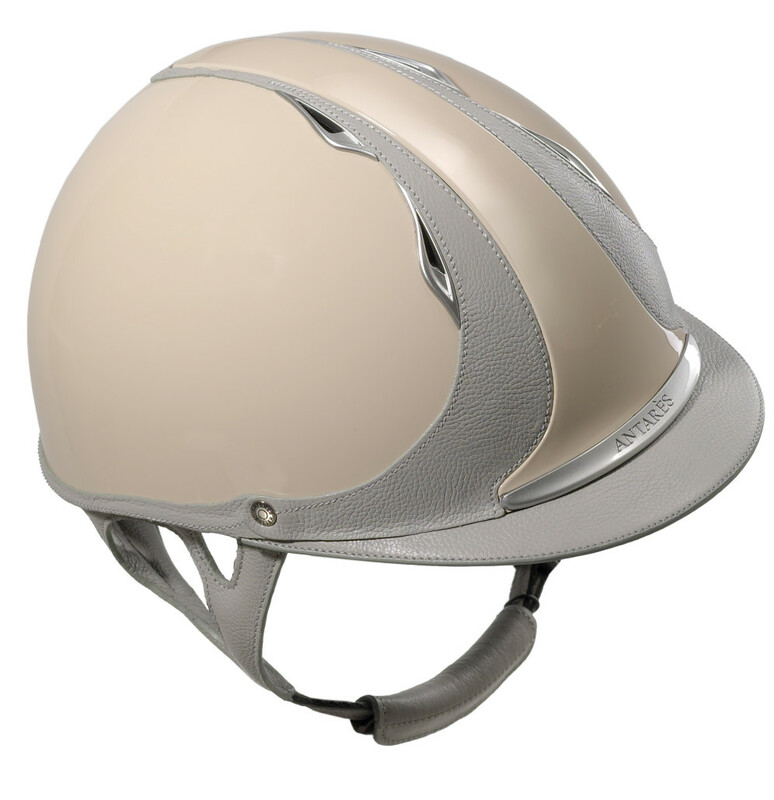 Maximum ventilation keeps air flowing (4 vents in the front and 2 in the back). Two removable and washable inner pads are designed to customize the fit. Three sets of inner pads are delivered with the helmet. Only available in varnish color. 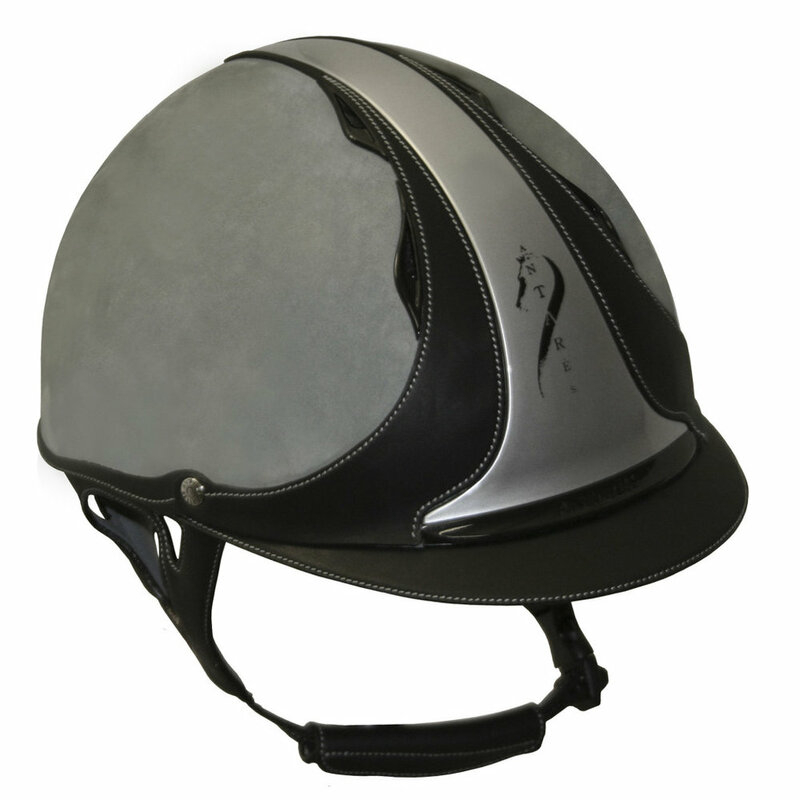 Short visor specifically designed for cross country. 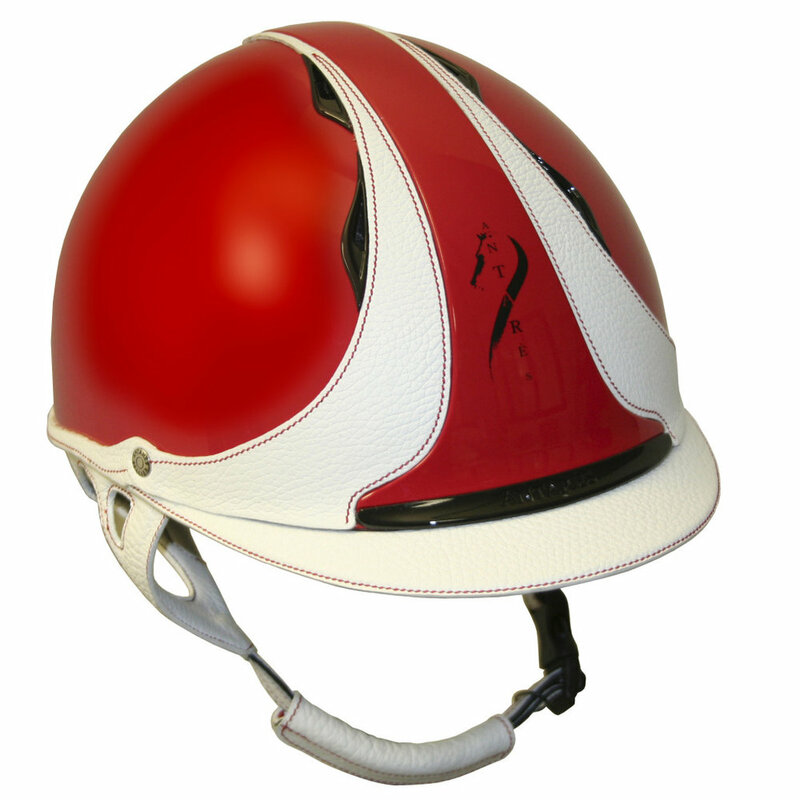 Entirely customable : the rider can choose from a wide variety of colors, for the shell, leather head piece and harness, stitching, vents etc. Personal logo can be printed on the bandeau and the triangle. Only available in varnish. 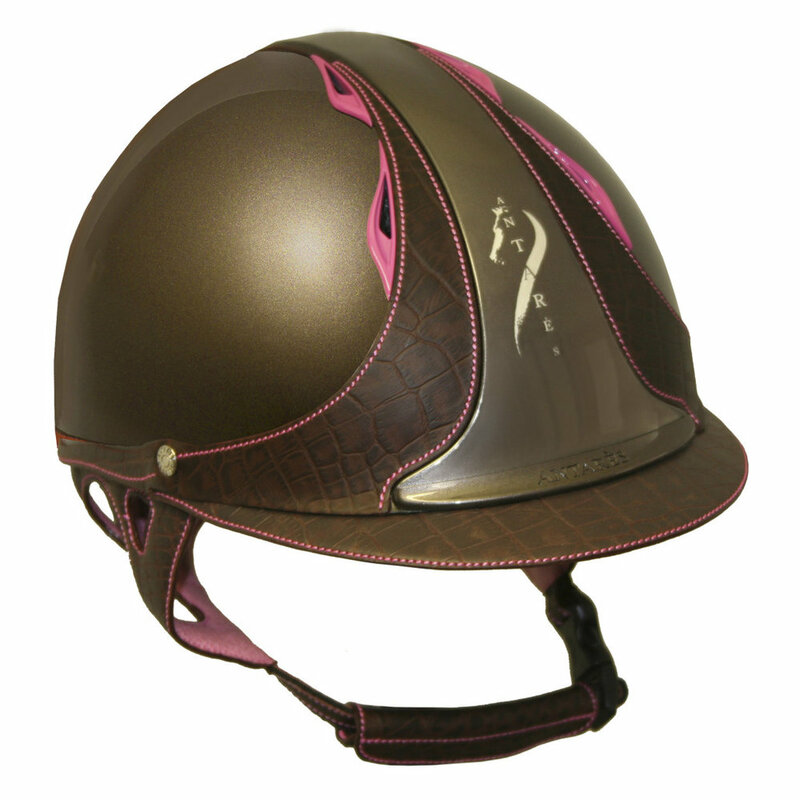 Entirely customable : the rider can choose from a wide variety of colors, for the shell, leather head piece and harness, stitching, vents etc. Personal logo can be printed on the bandeau and the triangle. Only available in nubuck leather. 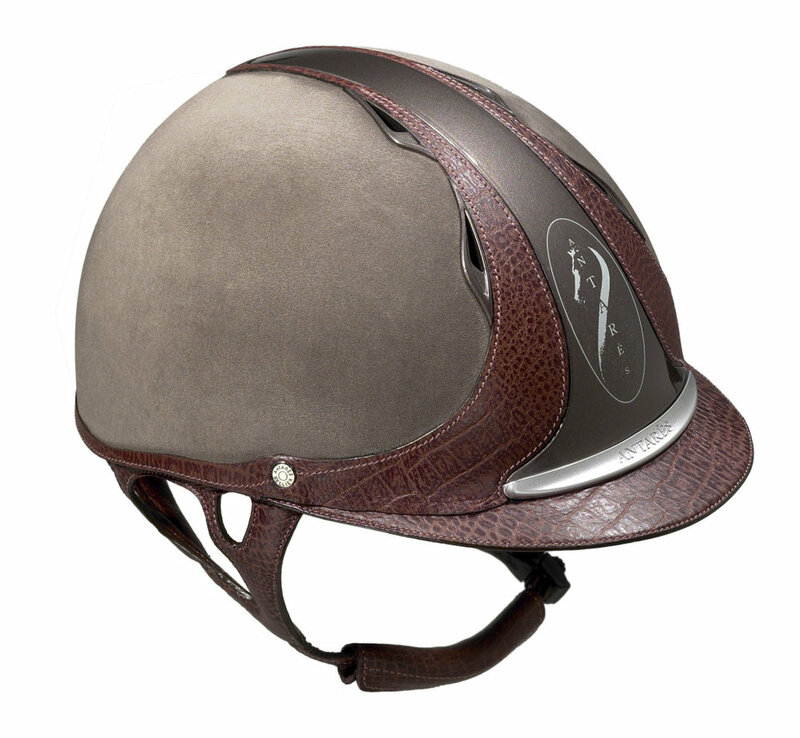 Entirely customable : the rider can choose from a wide variety of colors, for the shell, leather head piece and harness, stitching, vents etc. Personal logo can be printed on the bandeau and the triangle.